Fall in love with the beauty of a soft pink rose gold ring, available in 10K, 14K, or 18K rose gold, with a stunning pink topaz 7x7mm heart-shaped gemstone that will remind you of the petals on a blooming pink flower. 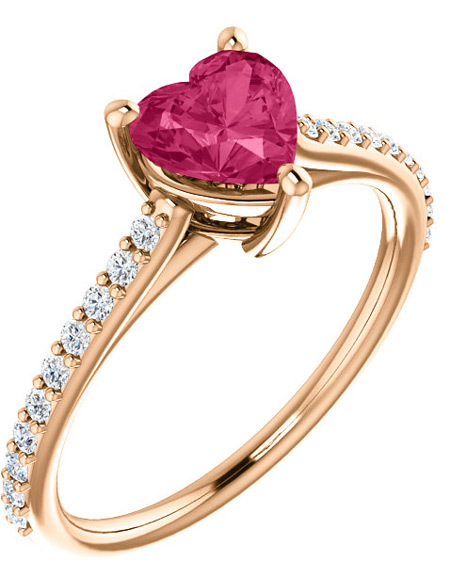 Twenty diamonds are situated around this heart-shaped pink topaz gemstone, which is rated an AA quality stone. This ring, from Apples of Gold Jewelry, adds extra sparkle with 1/5 carat of diamonds (0.20 carats) that are G-H color rated and SI for clarity. 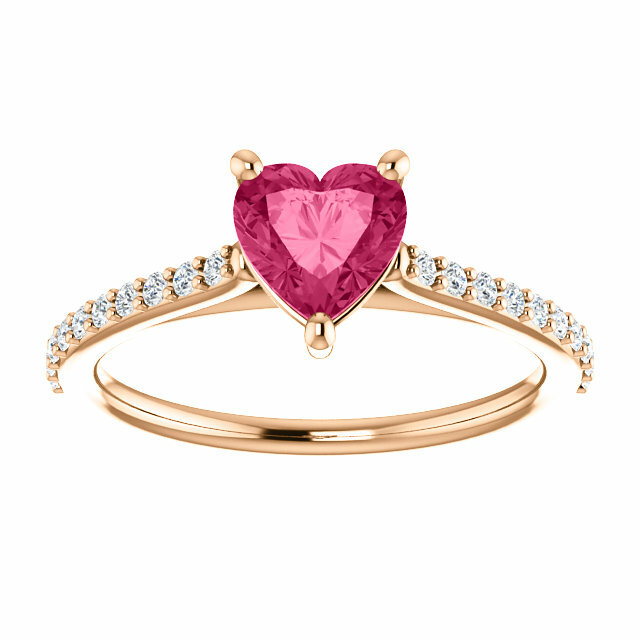 This beautiful ring is sure to win her heart! 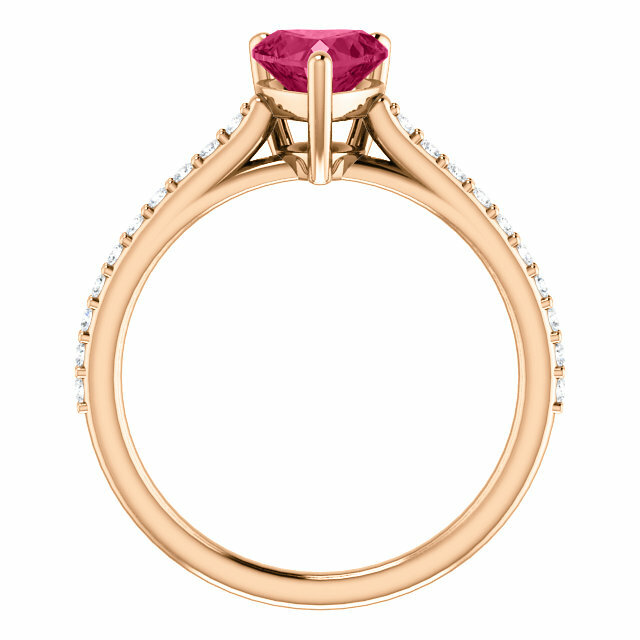 We guarantee our Rose Gold Heart-Shaped Pink Topaz Diamond Ring to be high quality, authentic jewelry, as described above.